Renowned conservationist credited for bringing the white rhino back from near extinction in the 1960s by spearheading Operation Rhino. He also founded of the Wilderness Leadership School in KwaZulu-Natal. Works for the Waterberg Welfare Society as a councillor. He openly lives with HIV and dedicates his time to raise awareness about the disease. His work brings him into close contact with the social conditions many people live with in the Waterberg area. Works at Nkwe Wildlife & Security Services as the Sergeant Major responsible for the field training of rhino monitors and rangers. 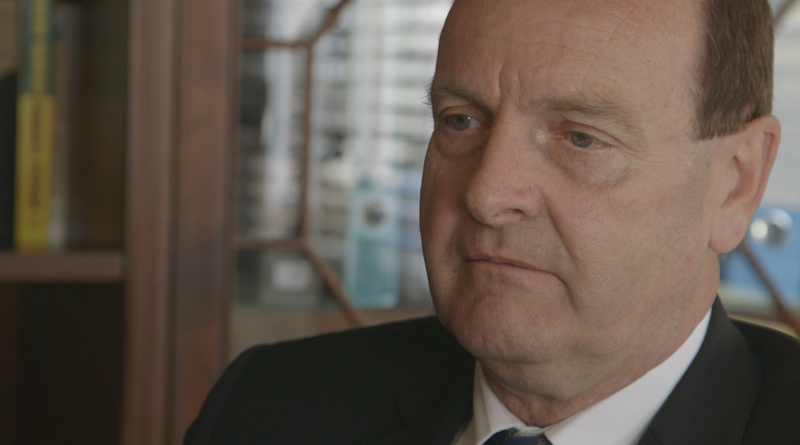 He has worked closely with Major Greeff for years before starting work with Simon Rood. Private rhino owner at Ant’s Nest. 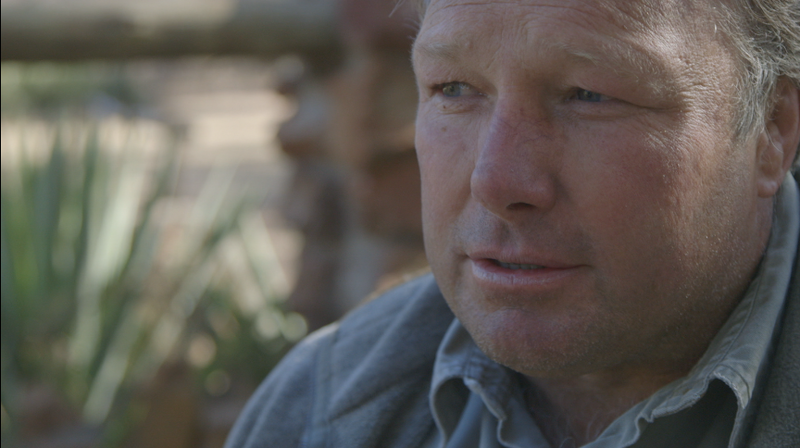 After losing two rhinos in two separate incidents, he co-founded the Save the Waterberg Rhino Foundation. They work with the Waterberg Biosphere to introduce children from poorer communities to rhinos and conservation. Rhino Operations Unit Manager & ZAP-Wing Coordinator at Ezemvelo KZN Wildlife. 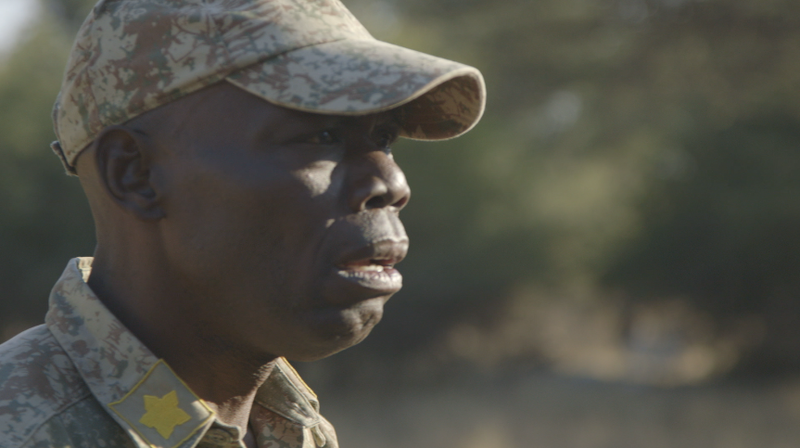 Not only is he an expert ranger in the field of rhino conservation, but he also has a thorough intellectual understanding of conservation & protection strategies. 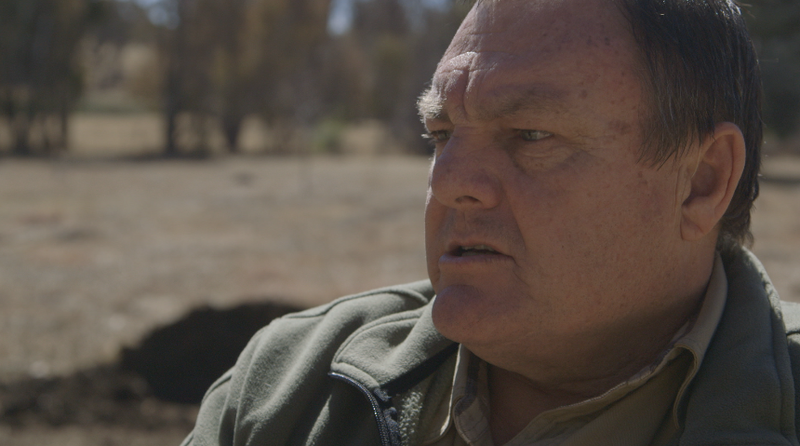 Founder of the Endangered Wildlife Trust and former Chairman of the Wilderness Trust of SA. He also founded the Lapalala Wilderness School, which exposes thousands of students each year to the importance of conservation. Founder of Nkwe Wildlife & Security Services. Associated with the Waterberg Biosphere’s Y.E.S. programme by supporting skills development in rhino anti-poaching. He implements the training plan developed by Major Greeff. Programme Coordinator at the Waterberg Biosphere Reserve. She coordinates the Youth Educational Servicesprogramme (Y.E.S. ), which provides skills development opportunities for youths from poorer communities in the Waterberg area. This includes the anti-poaching trainees followed by the film. 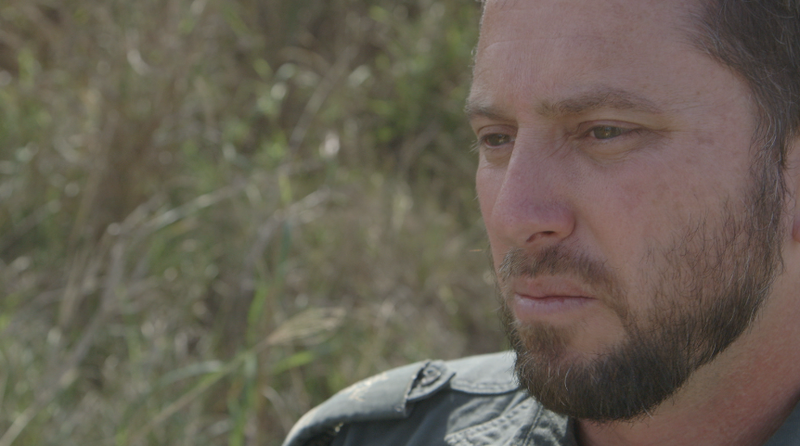 An ex-Special Forces soldier with experience in numerous conflict zones across the world, now trains field rangers in the Kruger National Park. 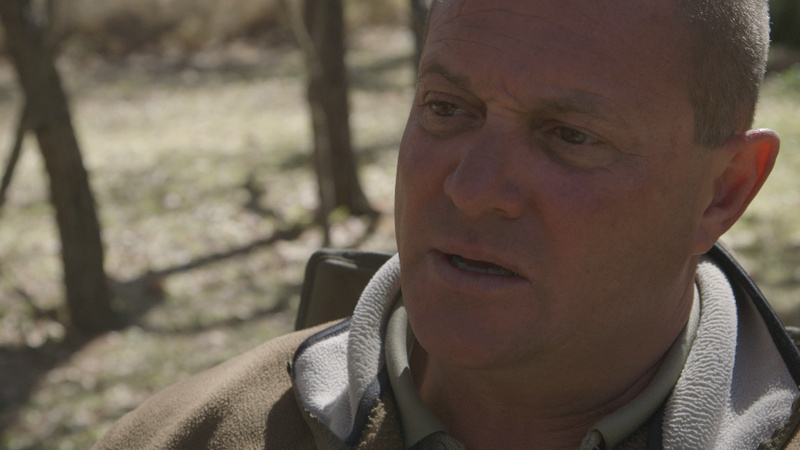 He is the architect of the anti-poaching training curriculum of the trainees we followed. Lawyer and private investigator partly responsible for uncovering one of the biggest rhino related scandals – namely the practice of pseudo-hunting in the North West province of South Africa during which rhinos were illegally killed by ‘hunters’ from Thailand. 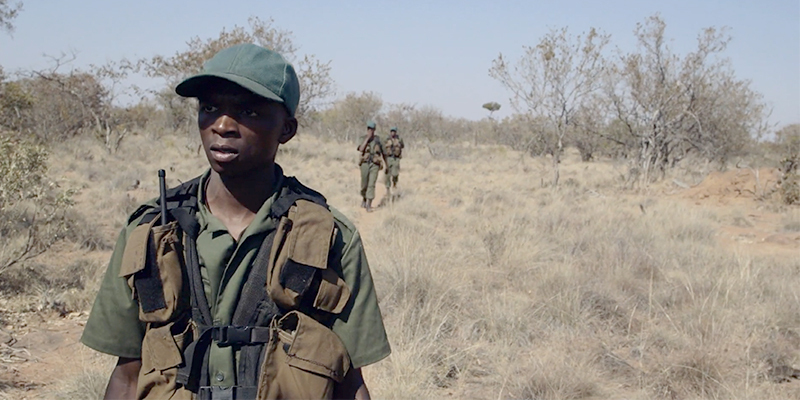 The film HORN is a lived documentary that creatively investigates the issue of rhino poaching by focusing on specific anti-poaching units in South Africa’s Waterberg region. The intention is to determine how effective anti-poaching as a solution-driven method is to combat the surge in organised poaching. A key dimension is the assessment of anti-poaching training as a forward-looking strategy that serves the protection of not only rhinos, but also the wider community. This includes an evaluation of the physical and psychological impact of such training by following an actor playing a specifically created character within a real-life training situation. The intention is to thereby explore sustainable solutions to this dilemma while simultaneously commenting on the wider socio-political context connected to the survival of the South African rhinos. By including the contributions of community leaders in South Africa as well as figures working at the forefront of rhino conservation, HORN not only highlights some of the problems facing rhino conservation, but it also points out some of the significant social problems facing the communities in the affected areas – specifically in relation to education, HIV, security and accountability. When talking about the rhino poaching situation in South Africa, most people describe it in terms of an insurmountable ‘problem’. HORN however seeks to leave the viewer with a sense of opportunity that is based on the active protection of these magnificent beasts. There are a great meany problems in South Africa – all of which are linked to a troubled past and an uncertain future. Similarly, the rhino poaching crisis is also linked to all of these problems that appear almost impossible to solve. HORN however points towards a shift in perspective by linking the well-being of people with the well-being of the animal. In this sense, the rhino becomes a ‘problem solver’ because it is linked to so much history and so many social issues that drive people to poaching. In protecting the rhino effectively, South Africa can therefore simultaneously address issues such as health, unemployment and poverty through the creation of jobs. People are needed to protect it, to take care of it, to teach about it and to bring tourists to our country. In an area such as the Waterberg, the whole economy is based on the development of tourism. If people take pride in protecting this national heritage, the whole community will thus benefit from it. During the apartheid era, appreciating the rhino was limited to a few. Now, however, the rhino can also function as a vehicle to set this injustice right by giving the youth access to these animals in a way that instils a sense of pride and responsibility based on the importance off the animal’s survival. 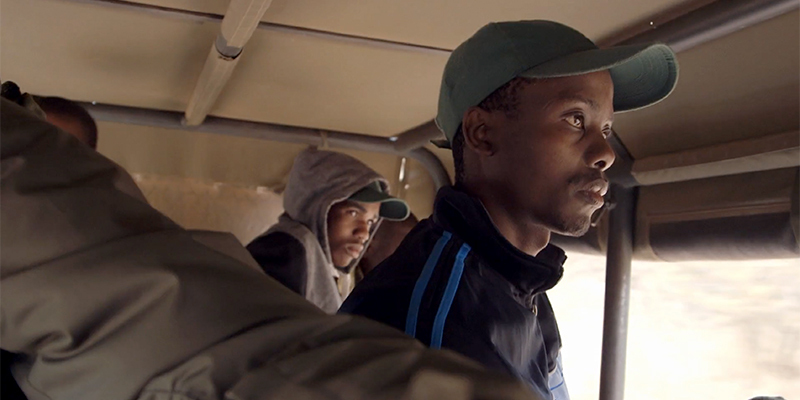 By focusing on rhino anti-poaching strategies, the film draws the viewer’s attention to other important issues that affect South Africa, its people and its wildlife. This includes issues that go beyond rhino poaching itself – issues such as the welfare of communities in the affected areas. The viewer is thereby made aware of the link that exists between the plight of the rhino and the situation many South African’s face on a day-to-day basis. The overarching argument of the film is therefore that rhino poaching is just as much a social as a conservation issue. To this effect, the film focuses most of its attention on the Waterberg area, which has been declared UNESCO Biosphere Reserve. The Biosphere specifically concentrates on the intersection between society and nature so as to progressively improve both sectors. By documenting the lives of rhino monitors and including the communities they come from, HORN draws attention to the much overlooked fact that in Africa people and animals do not exist in isolation. HORN therefore considers the continued effects of poverty, lack of skills development and the importance of education within high risk areas – all aspects of which are crucial for the effective protection of South Africa’s rhinos. By linking issues such as education and poverty to what is happening to the rhino, HORN thus presents a view that places great importance on the preservation of dignity, both of people and of animals. 1. Everybody involved in the making of the film lives through the real situation and has to adapt to what is actually encounter. 2. HORN is not a staged or re-created film. What you see is what really happened. 3. The event is current and still evolving as the film is being made. 4. There is no straightforward conclusion to the film despite the fact that the film systematically seeks to form an opinion about the situation. In this way, the film reflects life as it is and how it is lived. 5. A character with a backstory is placed in the middle of a real situation and asked to live within the real world as he actually experiences it. The reactions delivered by the actor can therefore be accepted as authentic because they are expressed and experienced instantaneously by an actual person within that moment. He used to be a paramedic, but ran into some difficulty. As soon as he didn’t have money and a job, his family rejected him. He is now trying to find his own way. Abel is a natural leader and very observant. Jaluka is a sharp tracker. As a strong-willed personality, he is the rebel in the group. Sammy’s main reason for wanting to become a rhino monitor is to earn money to buy a car. Like Jaluka, he is a natural tracker. Puso is a very quiet and private individual. 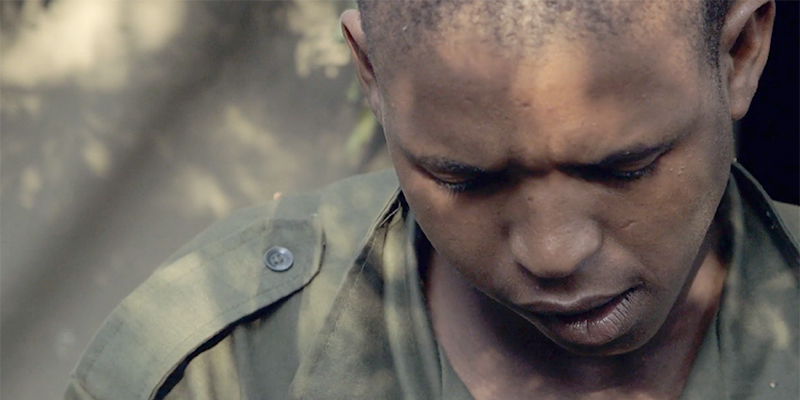 His main motivation for wanting to become a rhino monitor is to earn enough money to put his brother through school. 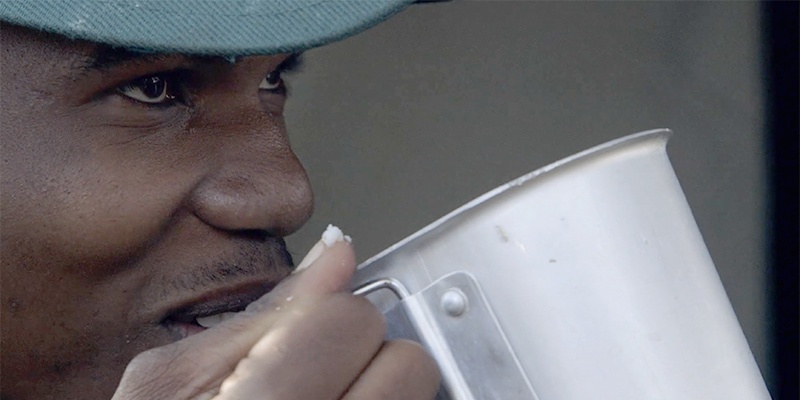 The role of Mike is to draw attention to the fact that people still tend to live past each other in South Africa. 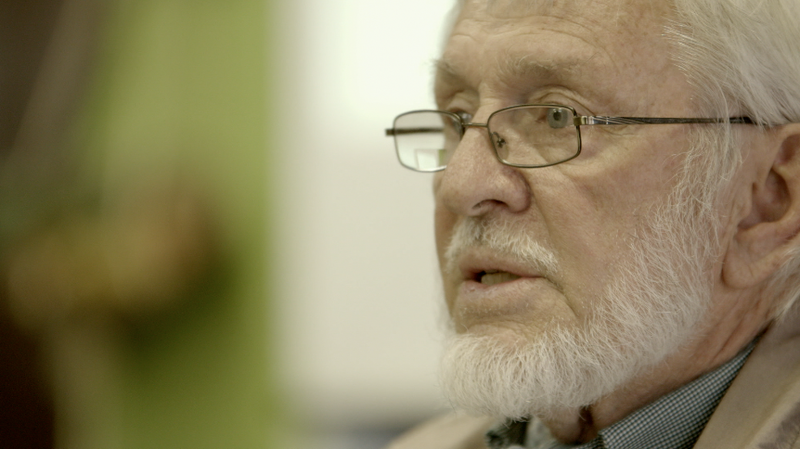 Mike is representative of a large section of South Africans who are disconnected from the trials and tribulations of people living in rural areas. 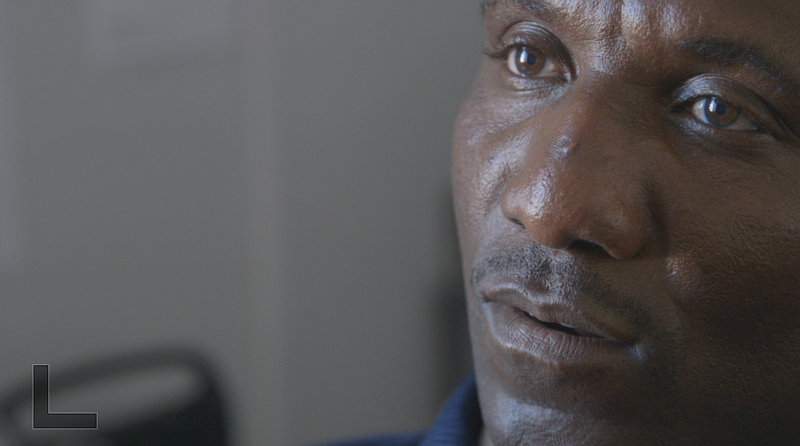 Mike lives a comfortable life in Santon, Johannesburg, but as he says in the film, he feels disconnected from his fellow countrymen, while not contributing to the betterment of the country. However, when he joins the rhino monitor training he is thrown into a completely foreign world, where he doesn’t even understand the language of his fellow South Africans. The transformation that occurs in Mike is also significant. At the beginning of the film it is all about him. By the end of the film however, he looks beyond himself towards the people around him and to the environment he finds himself in. Casting an actor in this role was a deliberate decision due to the ideologically fuelled environment HORN entered. Everyone involved in trying to protect the rhino has some motive for wanting their perspective heard. Mike may be a character, but the experiences he encountered and his reactions were as authentic as anyone’s because they were not manipulated by the production team. Mike was simply thrown into a situation and asked to consider his experiences on both an emotional and intellectual level. In the end, this methodology led to a fascinating study of human interaction and emotional development. Reina-Marie Loader and cinematographer David Cawley doing some aerial filming in the Waterberg, South Africa. What was amazing from these aerial perspectives as well as those we got in KZN was that from the sky you could clearly see the typical behaviour of the white and black rhinos that had calves. The white rhino (which predominantly prefers grassland) always let their calves run in front of them, so that they can see them. The black rhino on the other hand prefers dense bush. Therefore their calves always run behind their mothers who open up a path for the baby to get through. 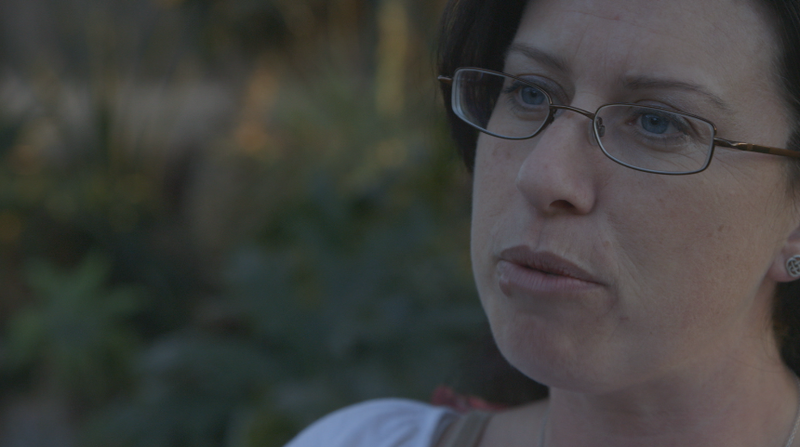 Reina-Marie Loader discusses rhino poaching on Al Jazeera’s flagship programme Inside Story. What future to rhino face? How does it connect to the plight of people? And … why is this multi-billion dollar industry on the rise once more? A big part of South African Heritage is our incredible wildlife, and having recently celebrated World Rhino Day – it’s important to remember that we must all work to preserve our wildlife heritage. A new documentary film called HORN attempts to do just that. Three months before starting principle photography on HORN, I went to the base opening of Pamwe Chate, which has since moved to a different location nearby. I get many questions about the woman doing the training in this video. She wasn’t doing the training formally in order to become a monitor. She was one of the office managers there, who wanted to participate in the training in order to understand what the trainees had to do to become monitors and then rangers. All of the trainees however were from the local area. They are part of a programme called the Youth Environmental Services (YES), which is intended to give young people who do not have any jobs more opportunities by providing them with paid training. To read more about the YES program, click here. I met BJ on the first research trip to the Waterberg. 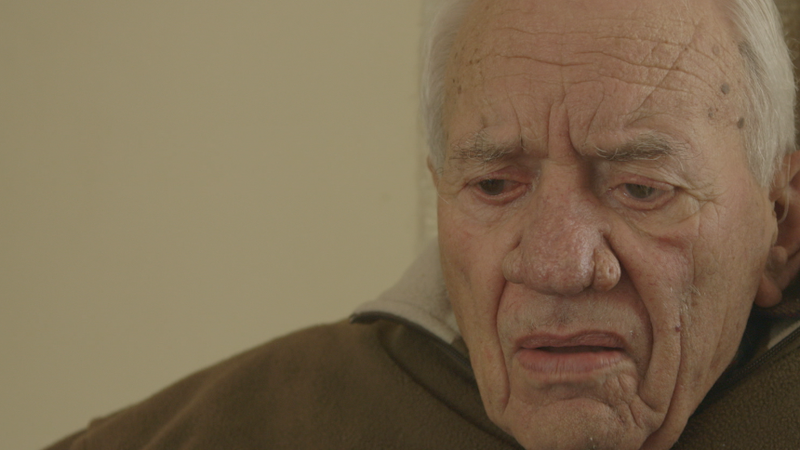 I was struck by one issue he raised when I spoke to him, namely that everything has the right to life. That is why training of monitors and rangers is so important – because you cultivate a culture that respects the right to life of all living things. If you can care about an animal’s welfare then chances are very high that you would also care about the life of a person. Most of the rhinos you see in this video were filmed in the Kruger National Park. It is the area with the highest poaching rate and is often referred to as a war zone, simply because of the severity of the poaching going on there. WHAT DOES IT TAKE TO BE A HUMAN RIGHTS FILMMAKER? SIGN UP FOR OUR NEWSLETTER. Get a FREE GUIDE to help you get there.